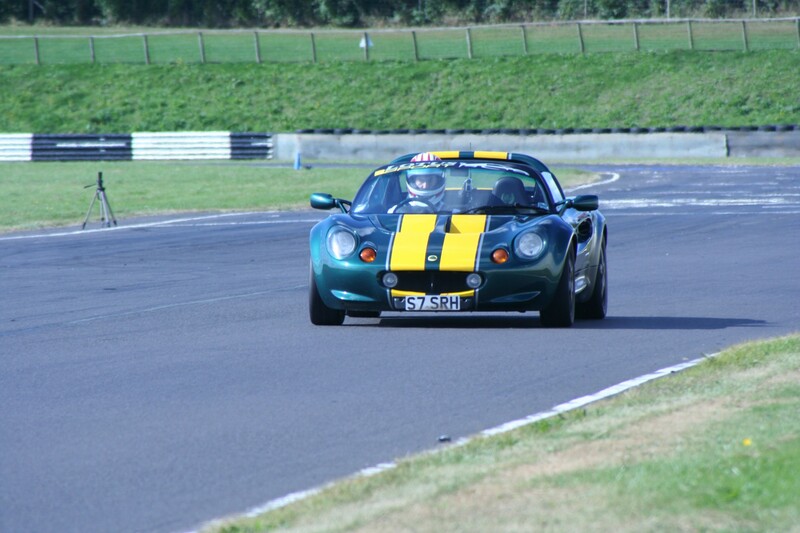 After four years of track days, and a couple of years of sprints I took the plunge and, last year at the age of 50 decided to enter the Elise Trophy. 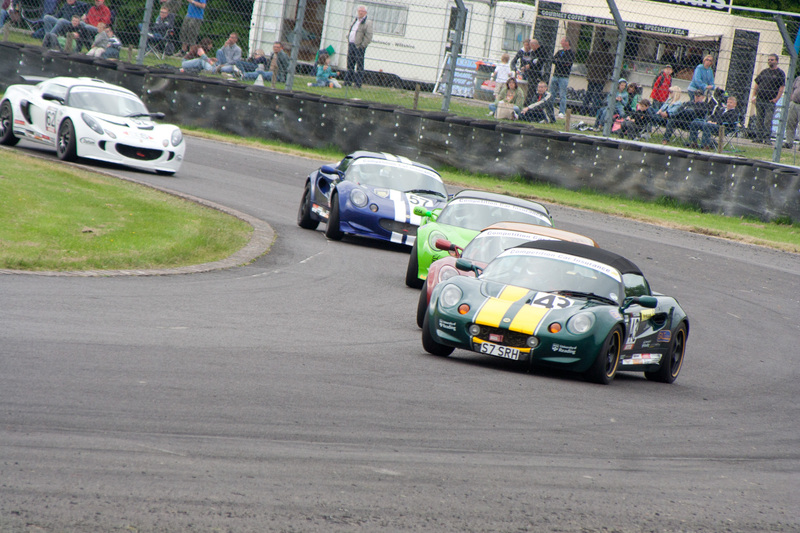 There are drivers who easily move from track days to racing, and are on the pace straight away. I’m not one of these people. So for me, and I believe for many others, this transition is a bit of a humbling experience. You go from easily passing most things on the track on track days, to being 2-3 seconds slower than the top drivers in a race. 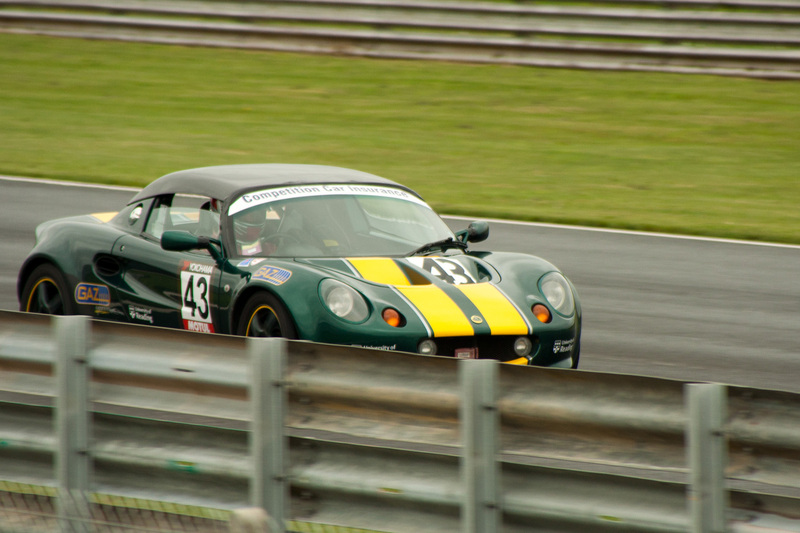 The standard of driving in the Elise Trophy really is very high throughout the grid, so you really have to work hard to make progress. It’s always tempting to try to throw money at the car as a way of speeding up this process, but although I definitely felt this temptation this wasn’t an option for me. So I had to work hard on technique, try to learn as much as I could from the faster drivers, read books on racing technique, watch loads of videos of the faster Elise Trophy drivers, get some instruction, and try to push myself harder at every event and apply what I had learnt. There are no short-cuts (unless you are one of the very talented few), and it takes time to get on the pace. Despite an amazing first race weekend back in March 2010, helped by a “consolation final” that put me on pole position, most of the season was spent in the middle, or back of the pack. This didn’t affect how much I enjoyed my first year, as with grids of 30-40 cars, there’s always someone to battle with, no matter what your pace. 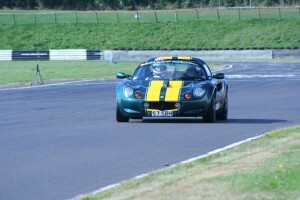 In fact my most enjoyable race so far was Snetterton in 2010, where I finished 25th. I had a fantastic battle with Nigel Hannam and Ben Hyland, where we just kept switching places, and often entered the Esses three abreast. Nonetheless, I wanted to do better this year. I had no excuses. 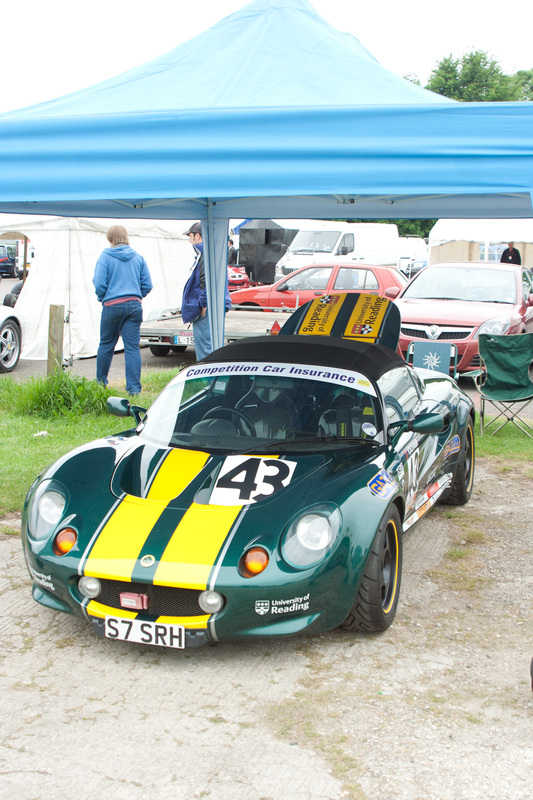 Whilst not having the most powerful engine, my engine was fine (or at least was fine after a bottom end rebuild) with 147bhp and 130lb/ft torque, I had had some excellent instruction from Malcolm Edeson and Mark Speller during 2010, and my car felt fantastic. I just needed a bit more commitment, especially in qualifying. I had a sense that I would do better in my second season. I’m not sure why. I didn’t have any instruction over the winter break, and only had one track day. I didn’t have any more power than I had in 2010, and the car was the same weight. But with my new found, groundless confidence I decided to aim to try to break into the top ten, and take advantage of the reverse top ten grid for the second race. 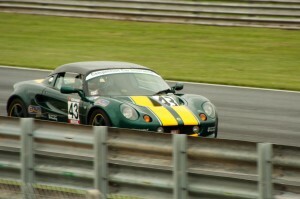 At the first race weekend at Snetterton things started off looking better than I had hoped with P6 in free practice. Unfortunately in qualifying I was slower, despite having better wheels and brand new tyres, and only qualified 12th. 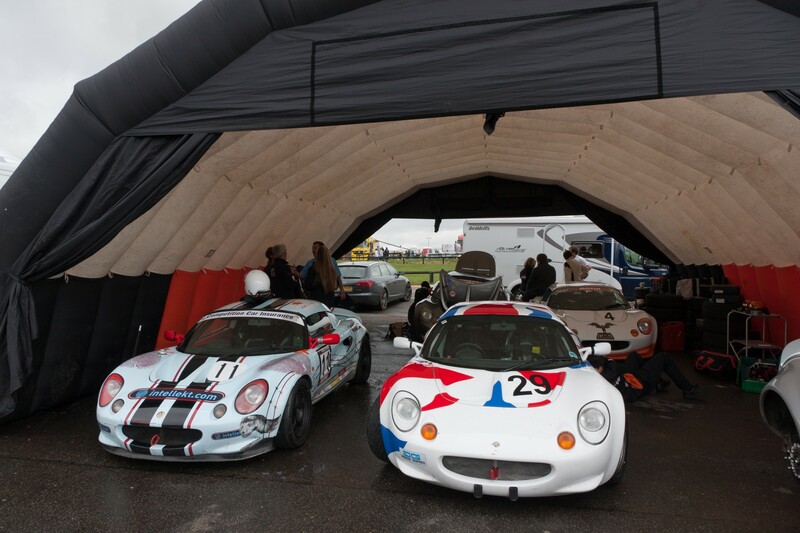 Frustration turned to relief at the start of the first race however when I managed to come out of the start-line carnage unscathed – seven cars did not make the restart! There was no skill involved in this. I could see a couple of cars running into each other in front of me, and because it took me so long to decide how best to avoid them I’d driven through the danger zone before I’d made a decision. (Note to self: must be more decisive if I don’t want to have to rely on good luck to avoid damage!) 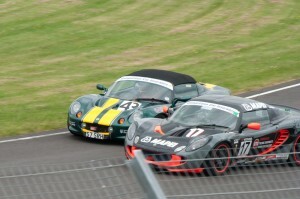 I finished 6th and 9th in the two races that weekend and was delighted with the result. 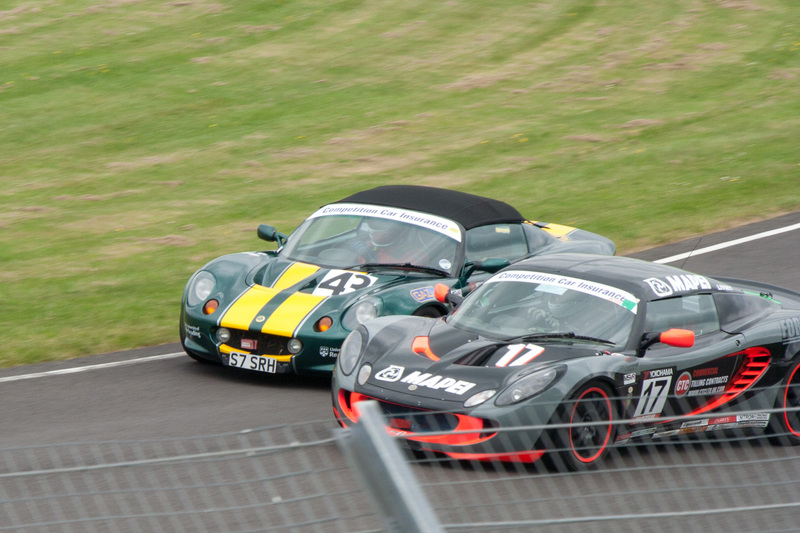 Despite doubts about how well I’d do at the next race weekend at Silverstone, I had almost identical results – qualified 11th and finished 6th and 9th. So it was beginning to look as though I was going to have a good year, and as it turned out, I managed to finish in the top ten for most of the races this year. There were, however, a few glitches. At a cold and windy Oulton Park the front crankshaft oil seal popped out on the 3rd lap of qualifying, which meant I qualified last, missed the first race, and starting from dead last only managed 14th in the second race; and at Snetterton in June, the inertia switch cut the fuel in the second race (my first DNF). But in general my finishing position, and even my qualifying, improved so that in the last three races I qualified 9th, 3rd and 2nd. I even had a podium in Race 2 of Brands GP weekend in July; an obvious highlight of the year. So I had a fantastic year, and am really looking forward to 2012. One of the big worries I had when I was considering starting to race was serious damage to the car. Motorsport is dangerous, and when it goes wrong it’s also expensive. I have been incredibly lucky on this score, and after two seasons of racing the car only has a few scratches and cracks on the front offside clam. But, without wishing to be too immodest, this result isn’t all luck. The fact that I drive to and from the race track in my race car focuses the mind on bringing the car home in one piece, and I decided right from the start that I would err on the side of caution. There are many overtaking chances that I have passed up because I thought they’d be too risky, and I don’t, or at least don’t think I defend excessively aggressively – in my view aggressive defending is just as likely to cause an accident as over-optimistic overtaking. Of course at some point my luck will run out. Accident damage is a part of racing, and you have to accept this. But you can take steps to reduce the risks. I’m often asked about the costs of a race weekend. I bought a Ford Freda (Mazda Bongo) in March to carry tools, tyres, etc, to use as a base at the track, and to sleep in at race weekends, so this eliminates hotel bills, and reduces food bills. I don’t have any race support to pay for, and spend very little on test days – this year all I did was one hour of testing at Silverstone, and a track day at Oulton Park, as these are tracks I haven’t driven before. I reckon that averages out at about £750 all in for a race weekend. That includes petrol there for the Elise and the van, about 30 litres of fuel for qualies and the two races, tyres, brake pads, discs, and food. If you included all these items for a track day there would be very little difference, but of course the chances of accident damage on a track day are very low indeed, whereas in a race they are considerably higher. It’s not cheap, but if you can afford regularly to track your car, you can probably afford to race it. Racing has taken up a huge amount of my time, and most of my spare cash. If I include the cost of converting the car – about £4.5k all in – a new helmet, the general maintenance work, bottom end engine rebuild, and other expenses, the amount spent over two years is quite scary. Apart from the race conversion all of this would have to be done if I were doing a similar number of track days, but that is little consolation when I, or more precisely, my wife, thinks of what the money could have been spent on. But as you would expect, I have no regrets at all, and plan to do another season in the Elise Trophy next year. It is not just the thrill of racing – and there really is nothing like it – I have also made some very good friends in the paddock, received terrific support and encouragement from fellow SELOCers, and have never ceased to be impressed by the helpfulness not only of fellow competitors, but also of the various specialists in the paddock, in particular Essex Autosport, Steve Williams, and Dave Carr’s Elise-Spares. And of course Paul Golding and his team of volunteers are just brilliant, putting in a huge number of hours, and a fantastic effort so that a few of us can do what we most love. 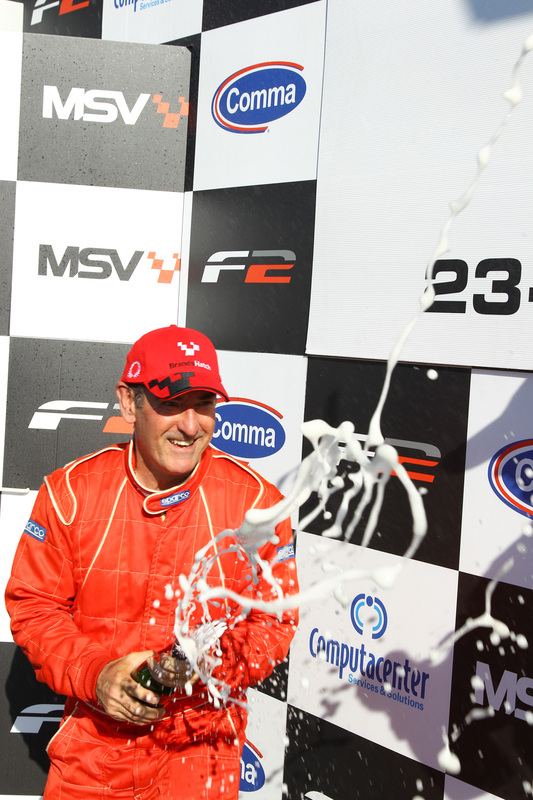 When I drive onto the track at a big event, such as the World Touring Car weekend we supported in 2010, I not only get a real buzz from the atmosphere generated by twenty thousand spectators, but also have a genuine sense of how lucky I am to be able do this sort of thing. Who wouldn’t do it if they could afford it? So if you are thinking about doing it, don’t worry about whether you are fast enough, or whether your car has enough power, or is light enough. Just do it!